At the Montreal International Auto Show last week, Nissan announced 2016 race calendar for the Nissan Micra Cup’s second season. 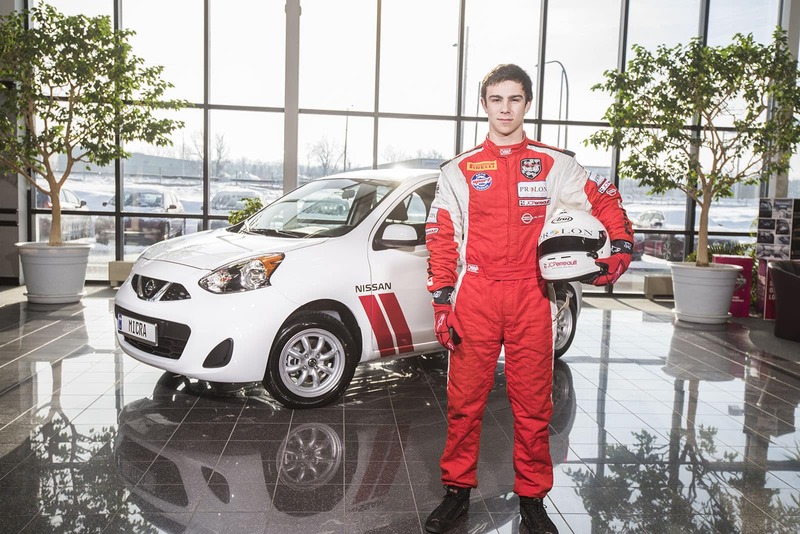 Originally launched exclusively in the province of Quebec, the Nissan Micra Cup will be expanding into Ontario with one race weekend at Calabogie Motorsports Park near Ottawa in May, and two weekends at Canadian Tire Motorsports Park just north of Bowmanville in July and September. Last year’s inaugural season saw the popularity grow with each race. You could see it in the stands, with engagement levels online and even on the showroom floors. 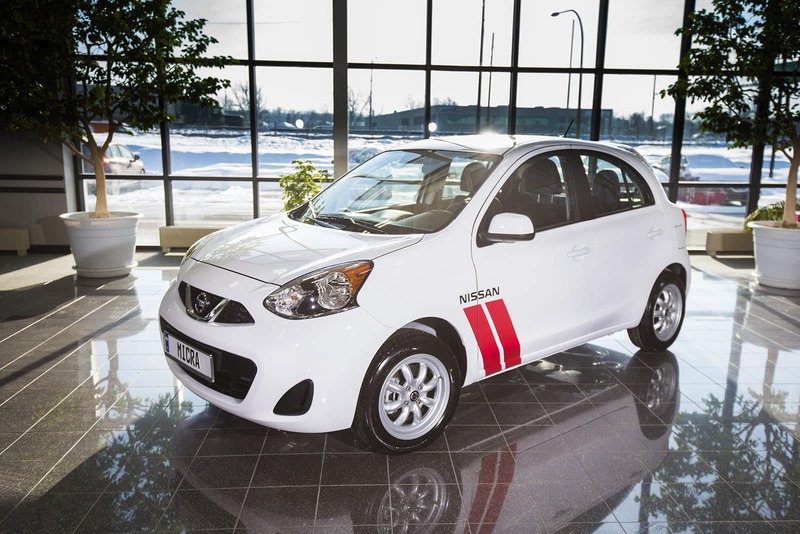 With the expansion into Ontario, the Nissan Micra Cup race series is going to grow even more in popularity. 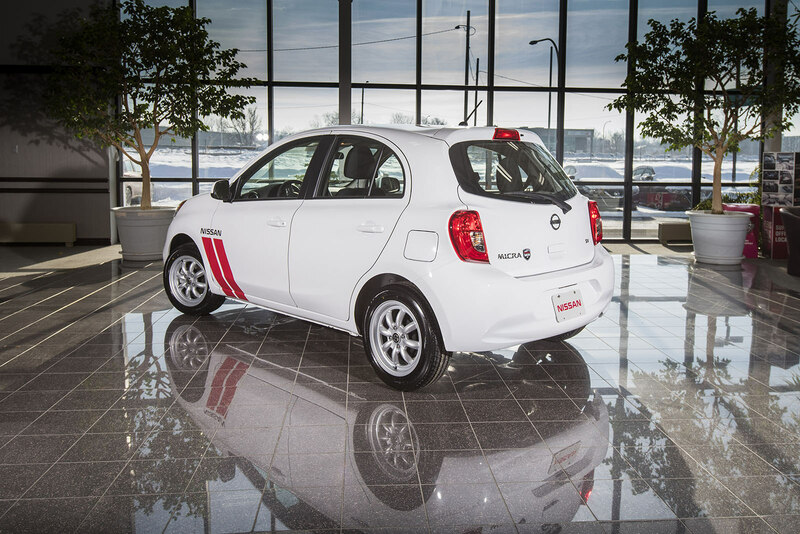 Billed as Canada’s most affordable race series, which features Canada’s most affordable car – the Nissan Micra. The Micra’s are each gutted, fitted with roll cages, racing seats and harnesses. Improved suspension is added as well as brakes and exhausts. The engines stays the same, allowing the drivers to engage in a battle of true skill. To celebrate the success of the Nissan Micra Cup, Nissan has announced the 2016 Micra Cup Limited Edition. This special Micra Cup Limited Edition, will be inspired the official Nissan Micra Cup race car. 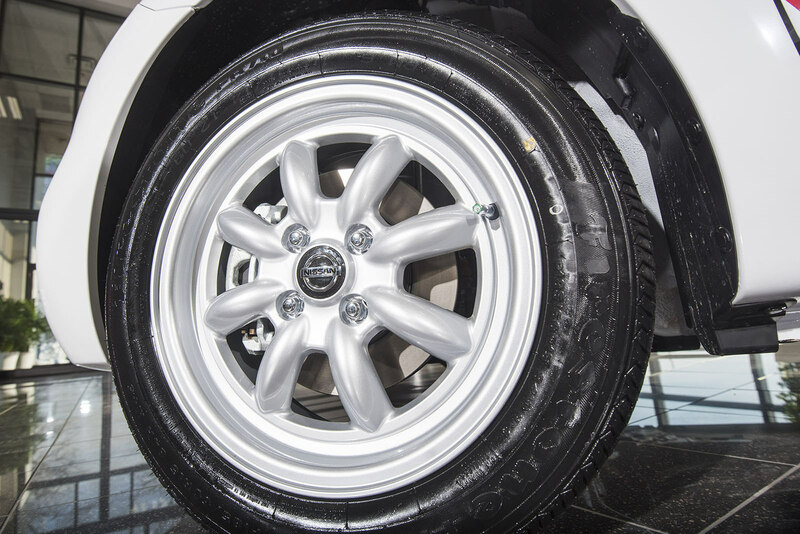 15 inch 8 spoke alloy Nissan Micra Cup street edition wheels will be added, as well as a numbered plaque by the 2015 champ Oliver Bedard, an exterior graphic scheme inspired by the cup cars, which were inspired by the BRE Datsun 510 and 240Z race cars of the 1970’s. A lot of inspiration going on here. If you want to get your hands on one, you are going to have to be quick, with only 250 examples being released they are going to move quickly!